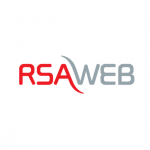 RSA Web is a prominent Internet Service Provider in South Africa. They bill their clients on a monthly basis for variable amounts, the amount billed on their clients credit card is dependent of the usage of the RSA Web service. We at PayGenius, developed a unique new solution, known as ‘Recurring Billing’ – With this solution, we met RSA Web’s PCI DSS compliance requirements, and enabled RSA Web, to bill their clients credit cards in real time i.e. instant results when striking a client’s credit card for payment. We provided a flexible, dynamic solution, that gave RSA Web the freedom to implement our solution, to meet their bespoke requirements, and process recurring credit card payments, in a safe and secure manner. Request your merchant account and get ready to accept payments within the day. Our friendly customer experience team is here to help you! PayGenius provides simple and reliable services to accept payments online. Growing your business requires to trade online. But finding the right solution can be a nightmare. PayGenius offers comprehensive and out-of-the-box payment solutions adapted to your needs.